My friend Joanne posted about two wonderful things. 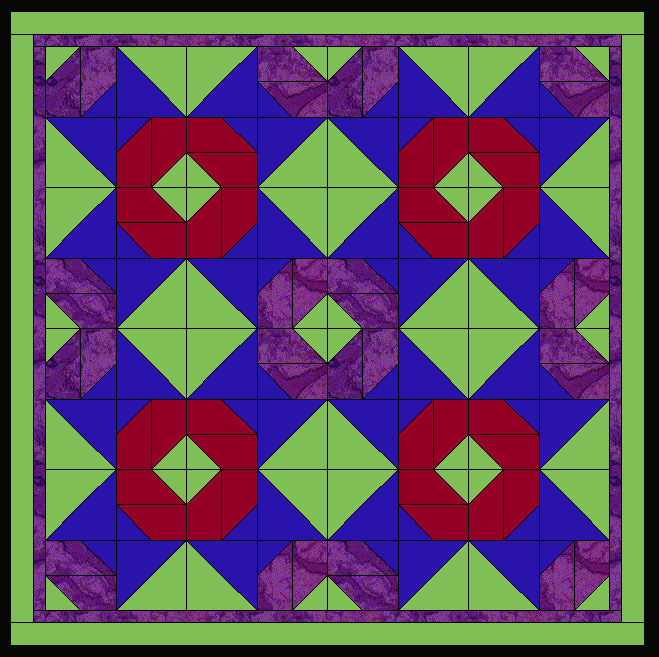 One is the Wanna Be Quilter event starting tomorrow. 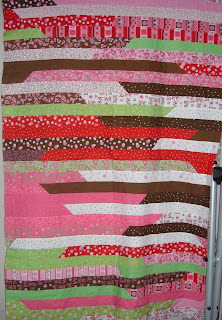 The other is Joanne's own Quilting Stimulus giveaway. 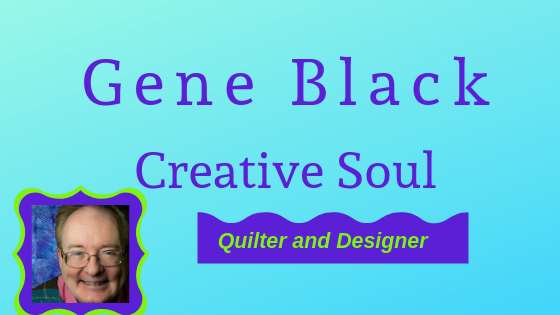 She is offering chances at half price quilting and even (with every 200 entries) a chance at FREE Quilting. This is huge. 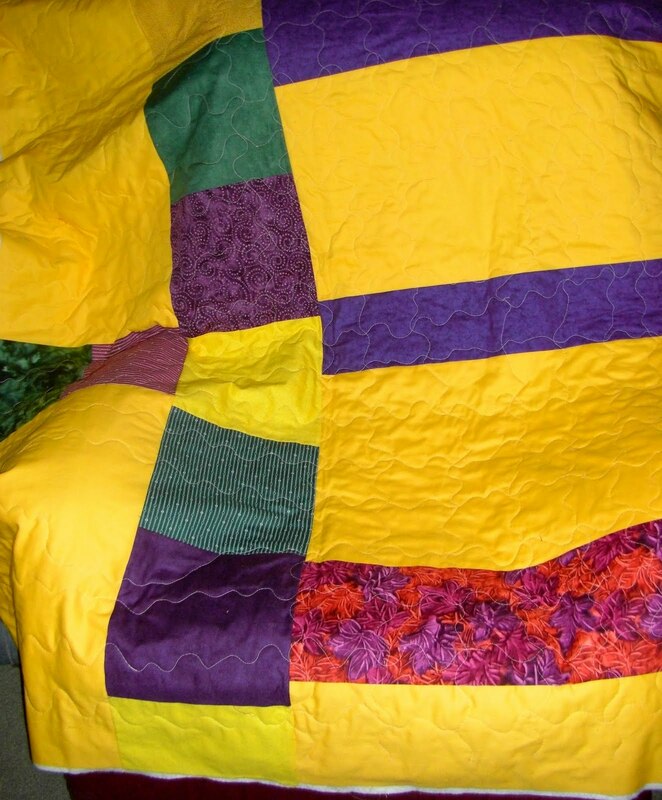 You see Joanne does "Insanely Cheap Quilting" She even has a blog named that. I really hope to win at least a half price quilting. Please if you go over tell Joanne that "Gene Sent Me!" So, what are you waiting for? Go on and click here to read about it and enter. The internet can be a "scary" place, but it can also bring people together that would never have met otherwise. Perhaps you recall that I went to Atlanta and met the two Pats - one from Atlanta and one from Delaware. We had a lovely time. I have developed many friendships of various levels. With my blog and internet friends, I have laughed and cried. I have shared in joy, sorrow and jest. So even though it was a surprise that one of my friends sent me a lovely box (and prefers to remain anonymous) it was not out of character for a friend to do such a thing. I must say that it cheered me up-made me smile and gave me new inspiration. Besides the lovely box, there are some goodies I have never tried in there. There is an air-erase fabric marker, flower head pins (which I have kept forgetting to buy), a Fons & Porter glue stick, a package of Wonder Clips, Ashby's of London chamomile tea (delicious by the way) and some Blooms titanium scissors by Wescott. Okay, so I have tried scissors - but these have a lanyard and cover, so you can slip them in the cover and hang them around your neck. I did a little hand sewing today (yeah - shocking isn't it) and I never lost my scissors because they were hanging around my neck. I love them! There is also some Heat and Bond Lite in there. That will certainly get used! Then there was a sweet and lovely card with a written sentiment that I will cherish. Thank you - you know who you are! Okay, the ribbon was neatly tied around the cloth covered die. Oh, I should tell you that it is an Isosceles Triangle die. There were also some fun Adornments fibers in with it. What a delightful mail day it was! Now I confess that I don't have a plan for those Adornments yet..but I am sure I can make something for the two princesses, don't you think? Thanks so much, Sherry. Friends are a delight without any presents received. The gift of friendship is the best gift. But, like a child I rejoice in surprises. I hope you find a delightful surprise coming to you someday soon. The quilt is done except for the label and the first washing! Breathe deeply Gene. Ahhh, that feels so good! That pile of quilt with the pins in it means I got some work done. I have the two pieces of the quilt quilted. I also have the joining strips attached to one half and pinned to the other half to sew at my next session. After that, all I have to do is sew on the binding and mail it away. Truth is, besides the birthday deadline, I can use the money to pay for some batiks that I bought. I got such a deal on them that I just couldn't resist. Yes, I know I don't "need" fabric, but it is called a "stash" for a reason. LOL. I really hate to post this, but I didn't want folks to think I am ignoring them. No I am not ignoring you, I promise. They say, "when it rains, it pours" - well I have been poured on and poured out. After all the other things that have happened, I got a call Sunday from my SIL. She was with my mother and noticed that Mom exhibited excessive thirst. So when they got home from church, she checked Mom's blood sugar. Can you say "through the roof!" ??? Since she knows I know about diabetes, she called me. I told her some things to do, and to check again in a couple of hours. (Mom was not on meds for diabetes) Meanwhile, I drove for home, I was 2 hours away. I had a thought and called back. "Jenn, did you look at the date on those test strips?" She checked, "Oh, they are way out of date!" I stopped by and got fresh ones. When I got to Mom's and checked again, it read over 400, I grabbed my meter (different brand) and rechecked. It was within 9 points. So I gave Mom a dose of metformin and stayed the night with her. I cleaned out some high sugar stuff she didn't need to be tempted with. Anyway, I was offline last night, the again most of the day. I was able to check a few things on my phone...but that is limited. Today I went to work for a bit then took Mom to the doctor, pharmacy and home again. I am whipped. I need to be quilting, but I don't even have the energy to read blogs. I promise, I am not ignoring anyone - unless you count the sandman. I am trying to ignore him 'til I catch up the laundry. 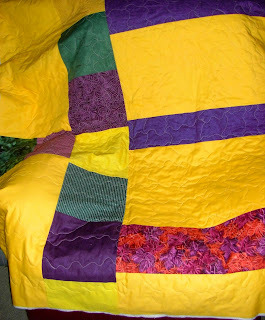 Yesterday I posted about layering and basting the quilt. I mentioned that I had to be creative to make the backing bigger. My creative solution required using some of the fabric I brought to cut into binding strips. Luckily there was LOTS of it on the mini bolt. So, in the afternoon, I cut the binding. 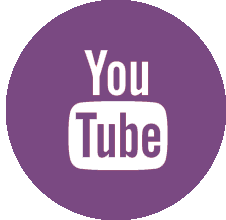 (remember my video!) Then I sewed the pieces together and ironed it all. After the ironing, I needed to roll it neatly to take home. I found an old plastic prescription bottle and used that to wind it on. I will punch holes in the ends and put some yarn thru it. Then I can hang it around my neck when I sew it on the quilt, rather than letting it fall in the floor. Why? Well you see, I won't roll my chair on it or put my feet on it and mostly I won't stretch it -it is bias. After I had rolled up part of it, I realized I needed a picture. So here is some of it in a pile on the floor as I was winding it. Yes, that is only a part of the pile. I cut lots of binding. I prefer to have leftover. I can use it on a small project OR take several leftovers and join them for a scrappy binding. After I finished rolling it on the bottle, I put a pin in to hold it from unwinding. Here is what it looks like. A couple of people asked about basting with hairspray. Are you interested in it also? I am considering writing a tutorial on it. I confess I have never used the 505 basting spray but I think the hairspray is a lighter hold. I just know that it works for me. I am finally back in the swing of quilting. This morning I have managed to layer and baste the back of the other half of the commission quilt. This was not without an oh no! moment. You see, I layered the backing and the batting. Then I laid the top over it. Oh NO! the top is bigger than the backing!!! Sigh! At least the batting is big enough. Okay, so what can I do? Easy enough if I were at home. However, the reason this wasn't layered earlier is that I don't have enough floor space. I "measured" it against each other on the bed, but obviously that was a "fail." What did I bring with me? Let me see, I have the top, the batting and the backing. 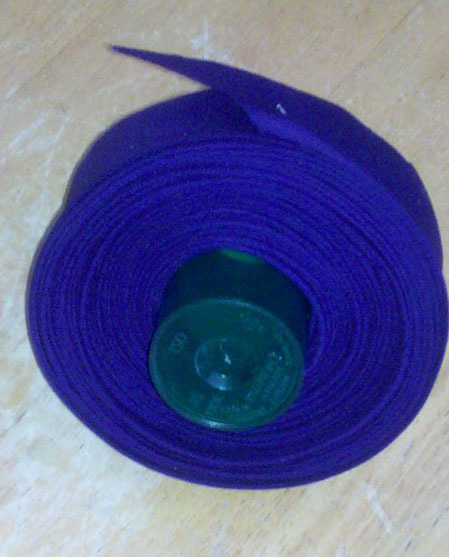 Oh yes, I did bring some fabric to cut the deep purple binding. Let me see... yes there is LOTS of it. I just grabbed my mini bolt (wrapped on a comic book board.) Whew! It will work. So I cut a nice long piece and added it to the interior of the "I thought it was pieced already" backing. That really is a deep purple strip, I promise. Someone on a previous post mentioned that this was modern. I guess I didn't realize it as I don't follow trends so much. I knew it was non-traditional. I just didn't classify it as modern. Ha, guess I should get out more! So I layered it, spray basted it with my cheap hair spray basting spray and started rolling it up. You can see that my backing and batting are bigger than the top. Whew! Good save. I think I had a good morning. How was yours? Today was excellent. I woke up with far less pain. I was able to move much more freely. My stitches have been removed and I got good news from the lab work. I am feeling great. So great, in fact, that I got in the groove again. Yes! I cut some fabric pieces and worked on my seriously delayed commission project. The back of the second half of the quilt is pieced. Here is a not so great photograph of it. I can hardly wait to get it finished. Of course I have no idea what I will be binding it with. 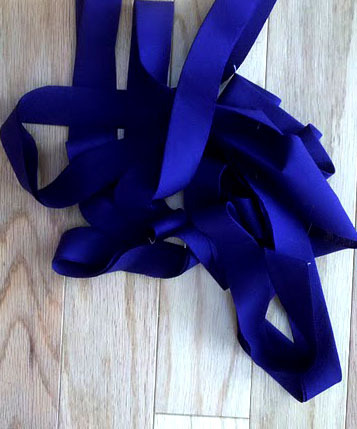 Do you have some color suggestions for the binding? Please feel free to speak up. I need to be ready so I can get this baby shipped to the one who placed the commission - hopefully in time for her granddaughter's birthday. I have not fallen off the face of the earth. Although a couple of times it felt that way to me. I am starting to heal and have actually been back at work. Yesterday was a long day, and at the end of it I took a nap. After the nap I was completely non-productive. If I have the energy this evening, I plan to do some sewing, so maybe soon I will have something else to show you. For today, I thought I would show a couple of hibiscus paintings. 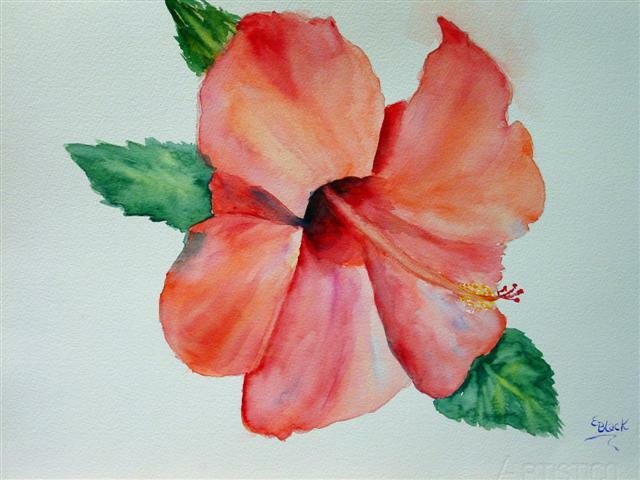 Hibiscus always remind me of semi-tropical places. Before hurricane Ivan, my nana had a condo in Pensacola, FL. The picture that was the inspiration for these two paintings was taken in the courtyard there. While each was painted from the same flower, they are very different. I would like to know - Which is your favorite? Why? What draws you to the one you like best? I am still not able to really do any sewing. My machine sits just a bit too high for me to use my right arm without stretching the incision site. (and boy do I hate that!) Now I realize that I need an adjustable height table for it. If I could lower it 8 inches, I could sew (and probably bang my knees!) I suppose I could pad my knees! ha ha. So anyway, this morning I was thinking I wish I had something to post that you haven't already seen. 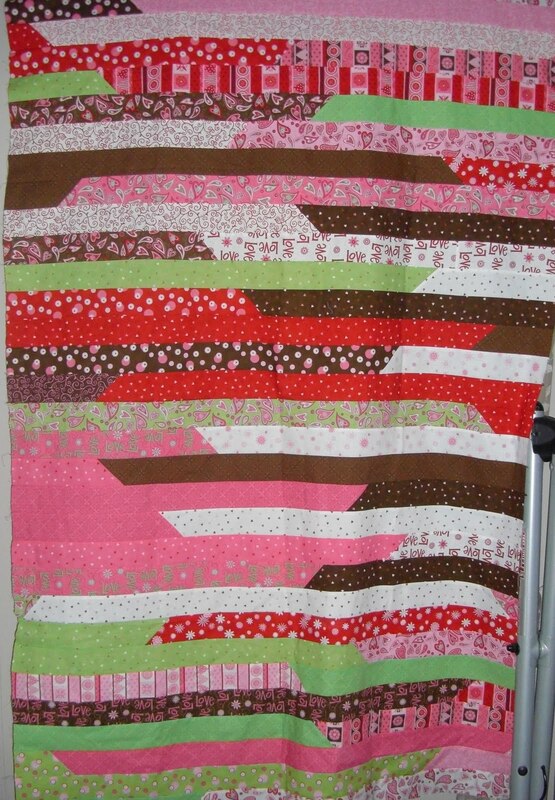 I was reading another blog and saw a variation on the "jelly roll race" top. I remembered that I did one of these. I do not love the way it turned out, but it will get used. I realize that one of the things I don't like is the "matchy matchy-ness" of this jelly roll. I would like some extra colors in it. I may chop this into some larger squares and add some colored sashing in it. LOL. I have a little princess who would love it but it would need some purple to go with the pink. She told me in no uncertain terms that her favorite colors are PINK and PURPLE! And since I wasn't quilting when she was a teeny baby, hopefully I can finish this before her fourth birthday and give her a big girl quilt. A few months ago, I received a DVD in the mail from "National Quilter's Circle" in Minnesota, MN. I had not ordered it and didn't really want it. So I threw away all the packaging that came with it. I do still have the DVD. It is mediocre and I didn't learn anything from it. About a month later I got a reminder that I was supposed to pay up or send back the DVD in the provided postage paid envelope. (which I had already thrown away) I trashed that letter also. US postal law states " it is illegal to send merchandise to someone, unless that person has previously ordered or requested it." If you are aware of violations of the federal law prohibiting the mailing of unordered merchandise, or if you have personally had difficulty with such items--especially if you are sent statements demanding payment for the merchandise--you should contact you local postmaster or the nearest Postal Inspector. I wish I had kept all the letters they sent as some type of proof. However an internet search showed that many people received this unsolicited. So I just thought I would warn you and inform you of the law so that you wouldn't get "taken" by this unscrupulous business. And, just so there is a picture in this post here is a painting I did a while back. A dear friend who lives in Tennessee bought it. Well off to eat and medicate. If you leave a comment don't expect an answer... but I will leave comments open on this one as a couple of folks emailed me about the last post -where I disabled the comments on that post. Y'all take care of yourselves....I am taking care of me for a few days. Have you stared at your fabric stash and wished that you had the time and energy to cut up your fabric for future projects? AccuQuilt has the answer! Click on the following link to participate: http://on.fb.me/qtyUoq or go to AccuQuilt’s Facebook page and click “Like”. Then go to the ‘Bust My Stash’ tab under their profile picture and upload a picture of your fabric stash. 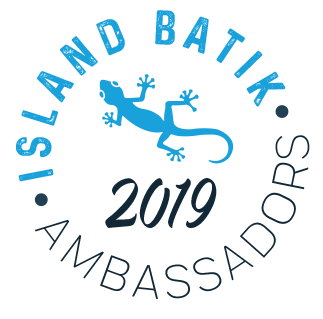 Submit your photo by Friday, July 22ndand you’ll be eligible to win a GO! Mix & Match 12” Starter Set. The photo with the most votes by July 31st wins! 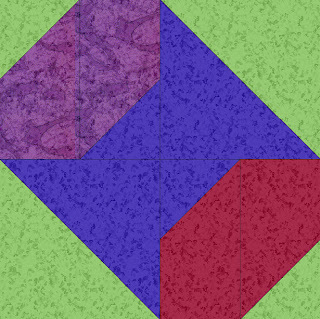 Photos will be voted on by viewers and fans of the AccuQuilt Facebook page using the following criteria: relevance, creativity, and originality. Share with your friends during the voting period to increase your odds of winning! It is with a heavy heart that I am writing to inform you all that my father passed from this life today. 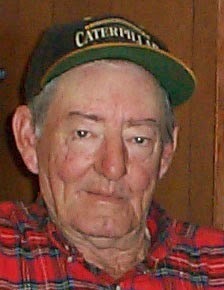 Rest in Peace, Dad, I love you and miss you. 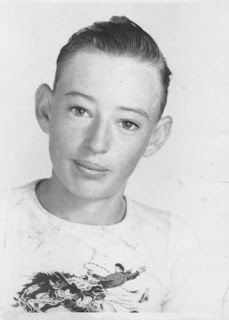 My Favorite picture of Dad - when he and mom were dating. I wrote on Facebook that he was my beacon and that I feel like the light is gone. After a very tiring day and much reflection (the kind that makes you wish your brain had an off switch) I realized that the light is not gone, but rather has been handed to me, my brother and my nephew. 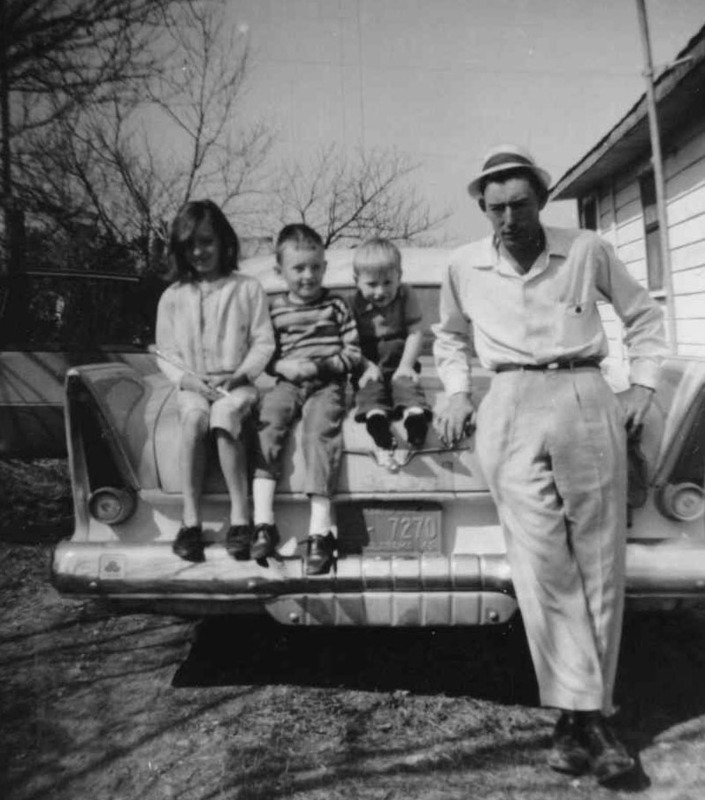 I am hoping that we can show light with our actions and generosity as my father did. While he had flaws and failings, he also taught me many good things. Some of them I learned from his flaws, but many also from his love of people. I know that he indeed shaped me into the person I am, for good or bad. 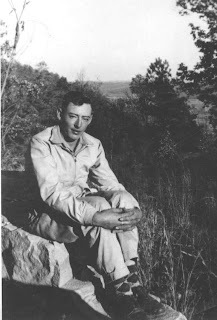 Forgive these grief stricken ramblings of a man, who today, feels much older than his years. For all of you that sent prayers and well wishes, know that I sincerely appreciate them. I will allow comments on this post, but please understand that I will not be able to respond to them. 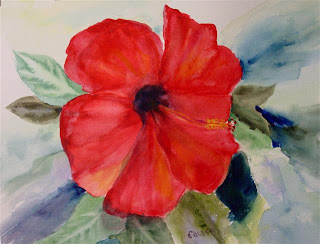 I will be back in a few days or a couple of weeks (maybe sooner) with more of my quilty/artsy ramblings. For now, peace be with you. And continue those prayers for me and my family. I want to let you know that this blog has been interrupted for a while. My dad is currently in ICU following a heart attack. For now my energies are devoted elsewhere. Dad is not strong enough at this point for the heart cath. So we are waiting and praying. If you are a praying person please say a prayer for his recovery. Meanwhile, please excuse my absence. Something happened that surprised me. I would say it is a "curious thing." 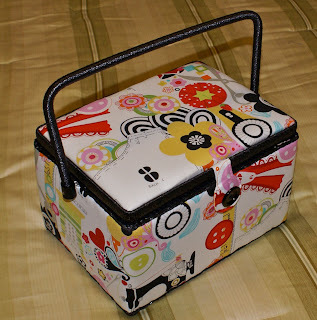 About a month ago, I won a Mighty Bright Light from Arrow Sewing. I follow them on FaceBook and they give away prizes sometimes. So I was really surprised when near the end of June, I saw that I had won from them again. The prize? Another Mighty Bright Light according to the blog post on Arrow's Blog. I dutifully mailed in my information. I had decided I could have an extra light at my friend's house where I sew sometimes. The following Monday I get an email from Arrow. I was congratulated on winning. The sender said I must be awfully lucky to win twice in less than a month. He also offered me an option of a different prize. (he also mentioned that maybe I should buy a lottery ticket.) I took the option and got a lovely sewing basket that is covered in an Alexander Henry fabric called "sew now! sew wow!" Here are some pictures of it. Don't you love the antique machine on the front? And here it is with the handle standing up - just begging to go somewhere to sew. And finally here it is open so you can see inside. Just now it is empty, but I will fill it with handy notions. I love the built in pin cushion at the left. It already had two pins in it. There is also a nice pouch on the right. I haven't decided what goes in there just yet. 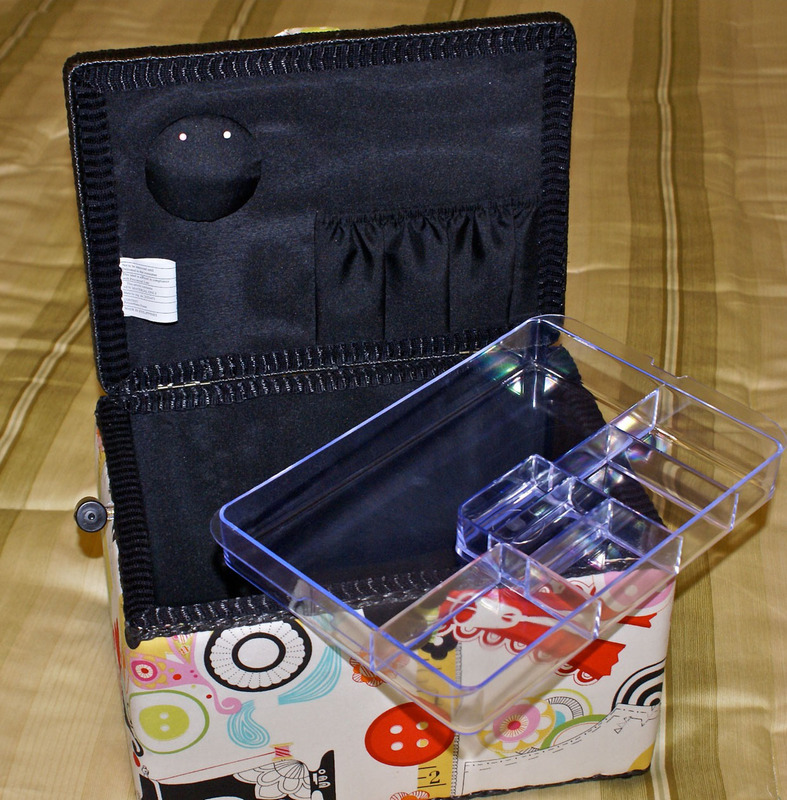 There is a tray with handy compartments for various notions. It comes out and there is more room underneath. 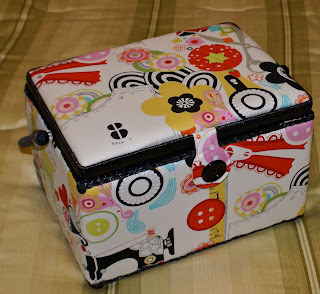 I have been thinking that I needed a nice sewing basket for a while and just haven't found one. This one will be perfect. There are two sisters having giveaways. 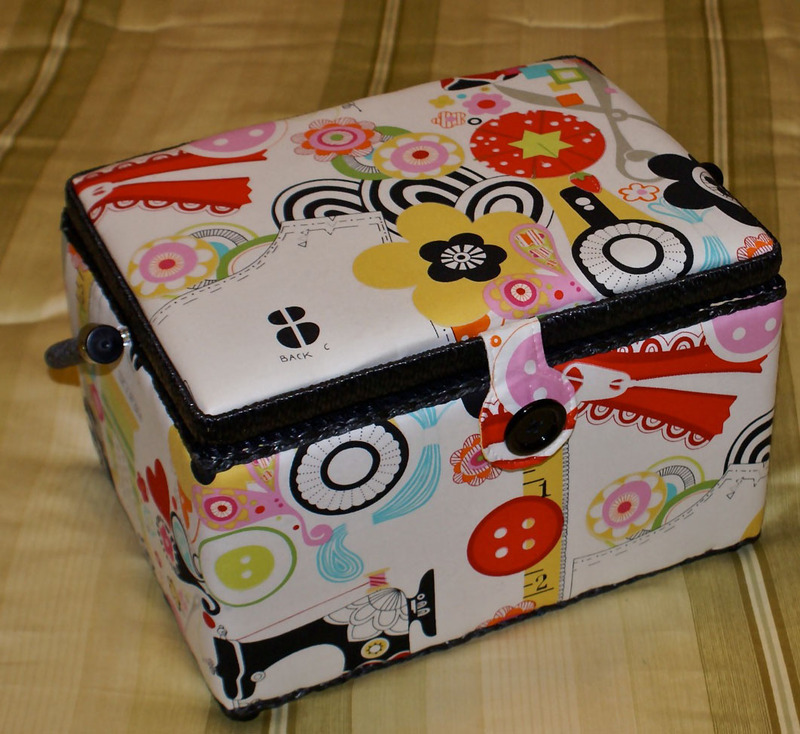 Inch Worm Fabrics is having a Freedom Mystery giveaway for July. 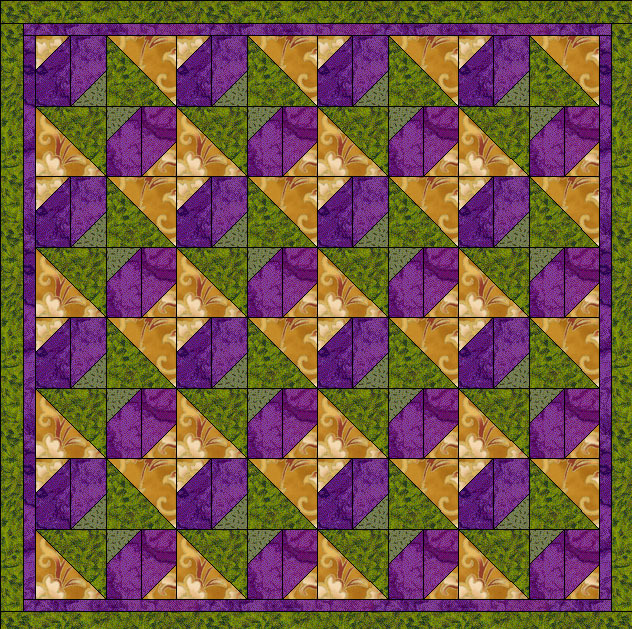 Okay, after much time, I am showing the green squares with the embroidery quilting. Everyone said "use the purple." However, I got going before anyone commented. I used the red. But it doesn't look "Christmas-y" after all. 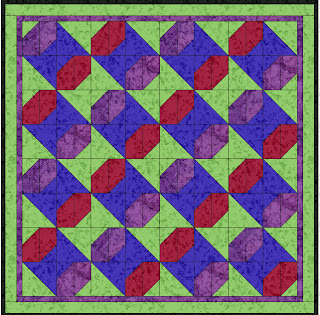 (whew) I think this is because of the shade of the green and the single thread used in this quilting design. My embroidery machine only has a 4" by 4" field for the design. 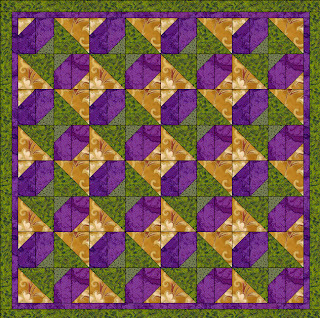 So the lesson I learned here is that I need to make blocks with 4" sections for this to look its best. 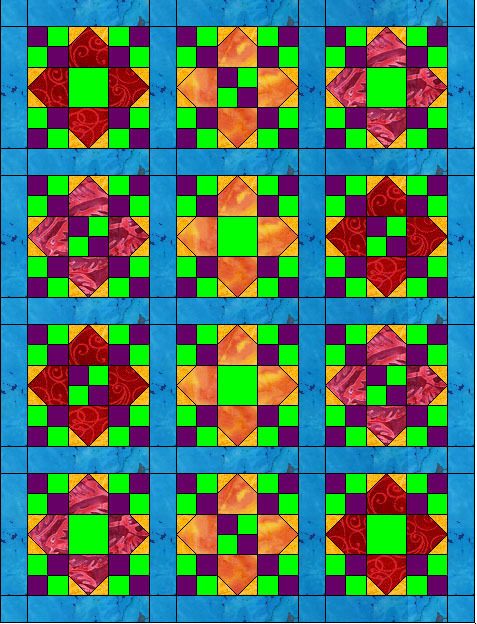 I think I may go back and free motion quilt a little closer to these designs. To all my U.S.A. friends - have a great Independence Day. Happy 4th to you all. Everyone else, have a great day too! My goodness, I just discovered that I am now at five years and one month of blogging. Time flies when you have such wonderful blog friends and readers. Greetings friends! Last night I realized that I was LATE. I had a July 5th "in my mailbox" due date for a couple of blocks for a sampler quilt. Yikes, no way it is getting there. I emailed the host hostess who was lenient since a couple of things have changed. WHEW!!! 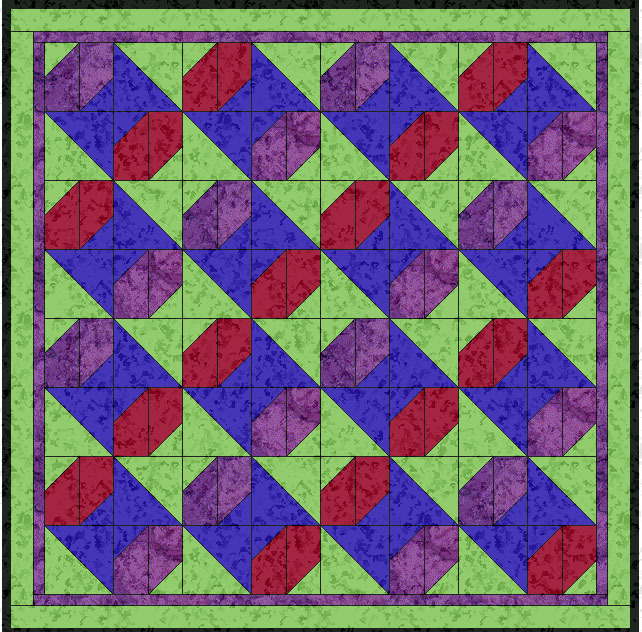 The real block is not in these colors however and the other block I made is a standard block, not one I designed. Now this block is probably already in existence in some form as "there is nothing new under the sun." So you see the alternating spools? And how about that interesting chain design? You could get fancy and alternate the chain colors too. Looks like hugs, kisses and diamonds, don't you think? In the future I will try to do better taking pictures of the real blocks. Sigh, I must be getting old.